We are the manufacturers, exporters, suppliers and service provider of a commendable and diverse range of Kitchen, Catering, Hospital Equipment & Kitchen Planing Services. 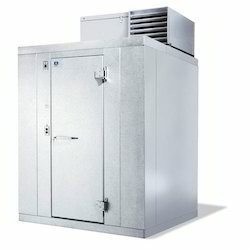 The range offered by us to our clients comprises of Kitchen Equipment, Cold Equipment and Washing Equipment. We are well recognized in the market as the leading service provider of After Sales Support Service. Our range of products include pastry display counter, sweet display counter non ac, bakery counters, sweet display non ac cash counter and sweet display counter (korian). 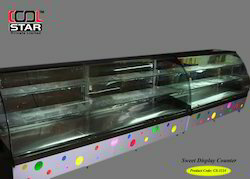 Offering you a complete choice of products which include non refrigerated display counter, refrigerated display case, dual temperature display cases, heated display case and korean display counter. 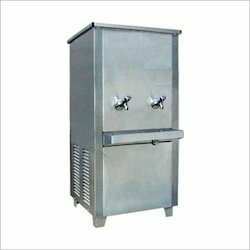 Offering you a complete choice of products which include water cooler with r.o space, stainless steel water cooler, ro water cooler and water cooler. 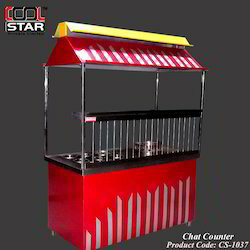 Pioneers in the industry, we offer chat counter, chat display counter and bhel and pani puri display counter from India. OEM Manufacturer of a wide range of products which include l shape sweet display counter, l-shape sweet display counter, l-shape display counter and l-shape display counter non ac. 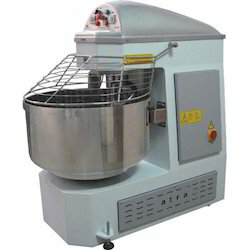 Manufactured as per the set industrial norms and guidelines, the offered range of Bakery Equipment enjoys a high demand in the market. 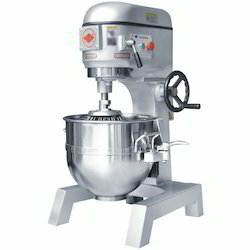 Planetary Mixers, Dough Kneading Machines and Pizza Ovens make up the range of equipment and have a robust construction that leads them to provide impeccable functioning. 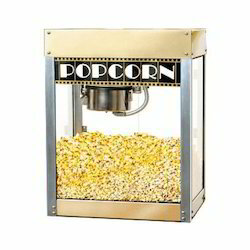 Prominent & Leading OEM Manufacturer from Varanasi, we offer mini popcorn machine lpg and popcorn machine. 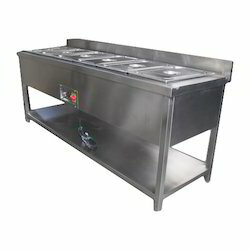 OEM Manufacturer of a wide range of products which include kitchen bain marie hot, bain marie table top, mobile dry heat bain marie, mobile bain marie and mobile bain marie with hot case. 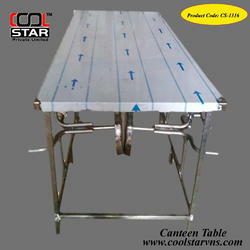 We are one of the leading manufacturers and suppliers of Hot Plate. 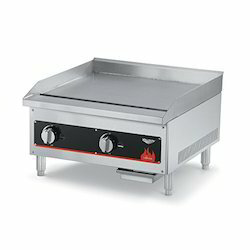 The commendable range comprising of Hot Plates (Dosa Tava), is one of the primary preferences in the market. 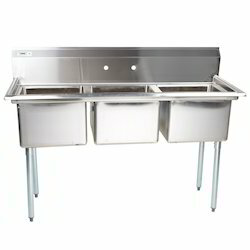 Finding application in a number of kitchens and canteens, the equipment is one of the finest that is available in the market. Offered to the clients at a market leading rate, the range of Trolleys and Tables provided by us enjoys a high demand in the market. 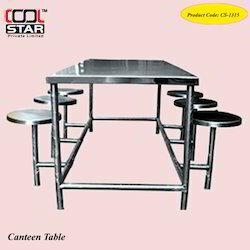 The range comprising of Canteen Tables, Preparation Table/Pot Tacks and Garbage Trolleys, finds application in a number of offices and factories. The range being sturdy and durable is one of the first preferences in the market. 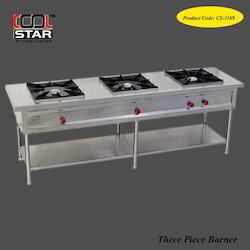 Our range of products include commercial three gas burner, four burner, two burner, chinese 3 burner range - gas stove and barbecue counter (griller). In order to provide the finest range of Washing Equipment, we engage in using the finest raw materials that are available in the market. 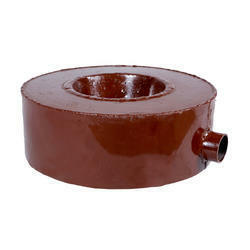 Owing to this, the equipment have a longer functional life and higher resistance to corrosion. 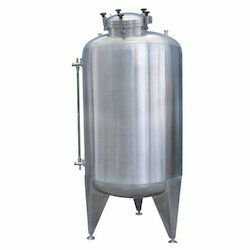 Manufactured as per the set industrial guidelines, these types of equipment are highly regarded. 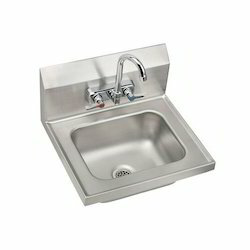 The range comprises of Three Sinks, Washing Equipment and Dish Washing Machines. 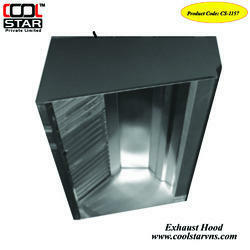 We offer optimum quality Exhaust Systems to our valuable customers. Available with us at highly affordable prices, these Exhaust Systems are known for their impeccable design and flawless finish. 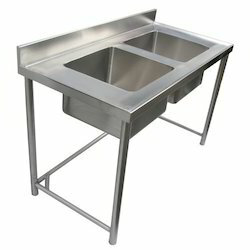 We are considered to be one of the leading manufacturers of a wide range of Hospital Equipment. 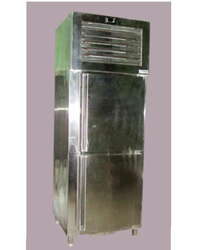 Manufactured as per the industrial guidelines, its standard never deteriorates. This range comprises of Hospital Beds, Nursing Trolleys and Stretcher Trolleys that are highly appreciated and asked for throughout the nation. For the purpose of providing maximum satisfaction to our clients, we engage in the use of the finest quality raw materials that are available. 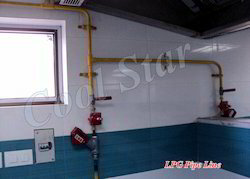 Thus, this LPG Pipe Line is one of the finest that is available in the market. Offered to clients at a market leading rate, its demand is quite high. 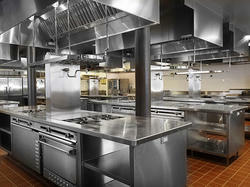 We are one of the leading providers of Kitchen Planning Services. Providing quality being our priority, these services are offered by skilled and equipped professionals. 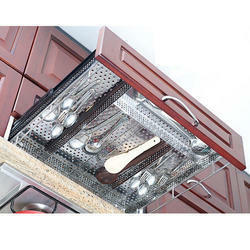 The offered services take care of all aspects ranging from planning to manufacturing to installing. Priced reasonably, the services have a high preference in the market. OEM Manufacturer of a wide range of products which include restaurants three burner. 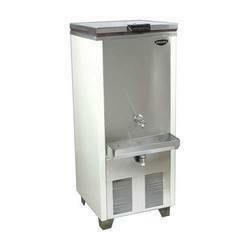 We are a leading manufacturer and supplier of excellent quality Beverage Equipments. 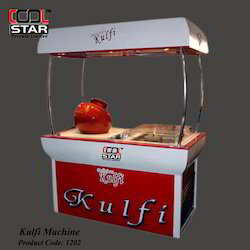 CoolStar offer Soda Flavours Machine manufacturer in India,Drink Mixers manufacturer in India,Tea Brewers manufacturer in India,Frozen Drink Machines manufacturer in India,Espresso & Cappuccino Machines manufacturer in India,Juicers manufacturer in India,Steam Coffee Machine manufacturer in India,PreMix Coffee Machine manufacturer in India,Coffee & Tea Brewers manufacturer in India,Percolators manufacturer in India,Brewer for Airpot manufacturer in India,Brewer for Glass Decanters manufacturer in India,Coffee Satellites manufacturer in India,Brewer for Satellites manufacturer in India,Coffee Warmers manufacturer in India,Decanters manufacturer in India,Beverage Dispensers manufacturer in India,Orange Juice Machines manufacturer in India,Water Boilers & Dispensers manufacturer in India,Brewer for Thermal Server manufacturer in India,Brewer for Single Cup manufacturer in India,Coffee Urn manufacturer in India,Coffee Grinders manufacturer in India.The offered range is manufactured in compliance with international quality standards using superior quality raw material and the latest technology. Our quality controllers check the entire range on well-defined parameters to provide the flawless product. 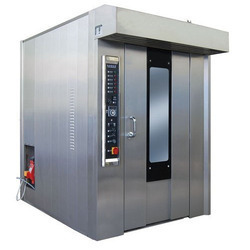 Moreover, our client can avail this equipment in various specifications at reasonable prices. 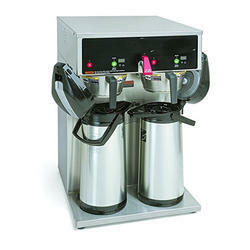 We offer an extensive range of Tea and Coffee dispenser Machine in different standard specifications. These machines come with double coffee and tea making options. Our tea / coffee dispenser machines are installed with special systems that ensure sterilization between each drink to avoid bacterial growth. 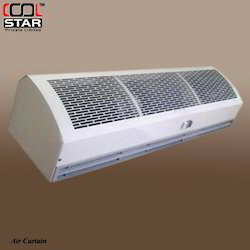 Our range is used in various offices, hospitals, restaurants and other commercial sectors. 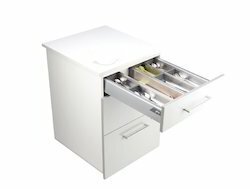 Offering you a complete choice of products which include ss perforated cutlery basket, ss partition basket, detachable pullout, ss single detachable pullout (3s) and ss pole unit. 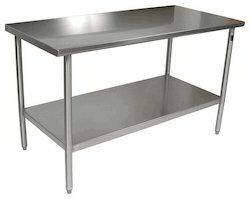 Our range of products include heavy steel canteen tables.